Winfrey said this while accepting the ‘Cecil B. DeMille Award’ at the Golden Globes for her career achievement, which is basically the equivalent to a lifetime award. 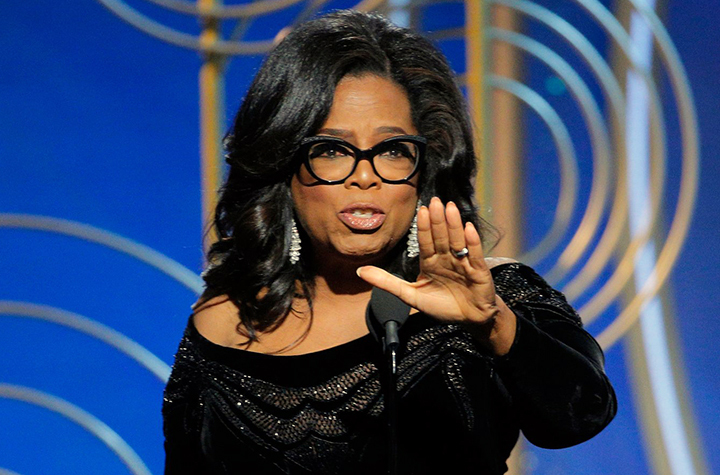 Oprah started off her speech, by recalling how when she was a little girl sitting on the mother’s linoleum floor watching the academy awards when Sidney Poitier, a black man was awarded the Cecil B. DeMille Award for the Best Actor in 1964. 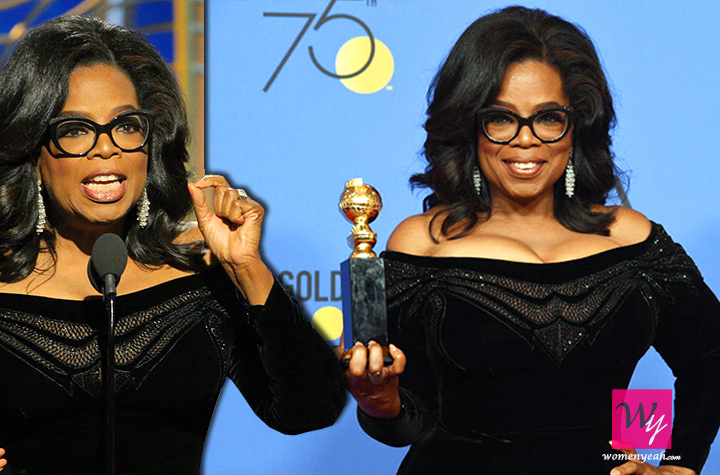 54 years later, who knew, Oprah Winfrey would be the first black woman to be given the same prestigious award. Oprah, however, did not fail to mention an incident that shook her. She spoke about a remarkable activist, Recy Taylor, who was raped by 6 white men on her way back from church. Recy was told, that if she ever told anyone about them, she would be killed. That didn't stop her, she reported it to the National Association for the Advancement of Colored People an organisation that deals to eliminate race-based discrimination. Guess who the lead investigator was - the legendary Rosa Parks. However, the men were never persecuted during Recy’s lifetime. “She lived as we all have lived, too many years in a culture broken by brutally powerful men. And she died 10 days before her 98th birthday." 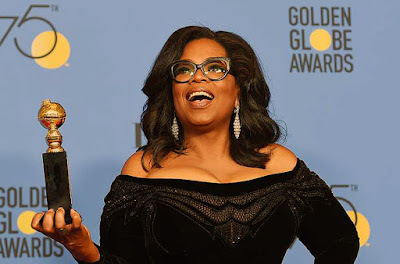 Oprah made it a point to mention this will not continue. 300 powerful women decided that time was up for these men and that, no more will women be tormented any further by their own silence. 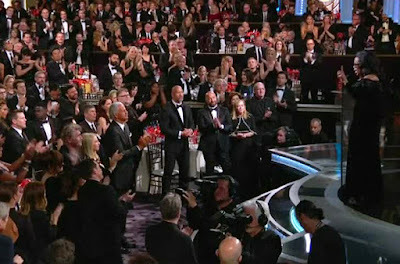 To bring this initiative into the light, most of the attendees wore black. 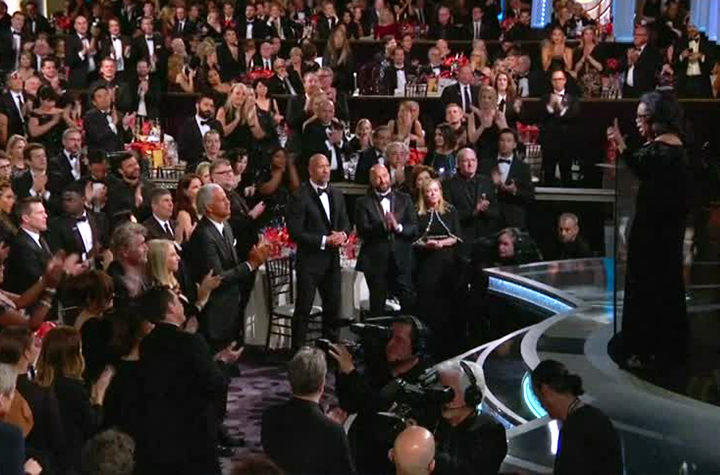 Many well-known activists attended the Golden Globe Awards such as the director of National Domestic Workers Alliance, Ai-Jen Poo and the founder of the #MeToomovement, Tarana Burke. 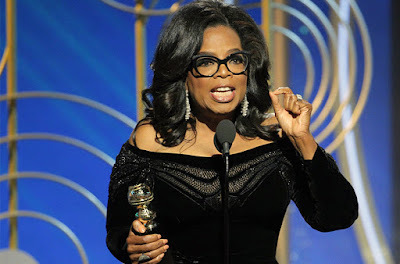 Self-made billionaire says that she has worked a variety of jobs and always has tried to maintain this internal consistency no matter what. “So I want all the girls watching here and now to know that a new day is on the horizon! And when that new day finally dawns, it will be because of a lot of magnificent women, many of whom are right here in this room tonight, and some pretty phenomenal men, fighting hard to make sure that they become the leaders who take us to the time when nobody ever has to say “me too” again. Thank you."